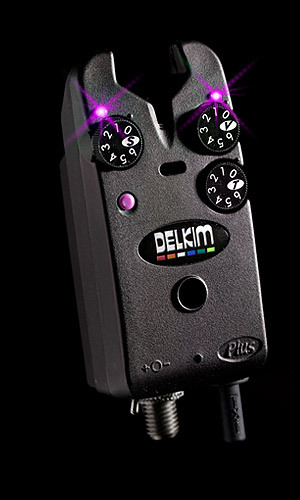 The Delkim Tx-i Plus is our flagship and biggest selling model in the Delkim Plus range of electronic bite alarms. It continues to be the first choice bite alarm for experienced anglers all over the world, where sensitivity, controllability, versatility and reliability are the main requirements. Used in conjunction with the Rx Plus Pro Mini Receiver it gives the user the most reliable and sophisticated cordless radio system that money can buy, with genuine range and long battery life expectations. 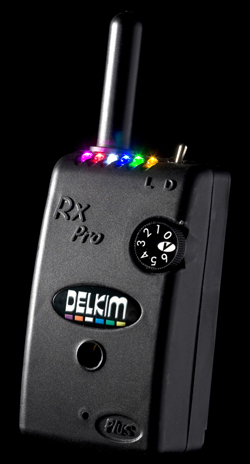 The Delkim Rx Plus Pro Mini Receiver continues to be the first choice for experienced anglers all over the world. It has proven to be the most reliable and sophisticated bite alarm radio receiver available with excellent range, penetration and extremely long battery life. 6000 HOURS BATTERY LIFE WITH CONTINUOUS USE is genuinely achievable and is the envy of our competitors. The advantage to users is infrequent battery changes, making rechargeable batteries and associated charging equipment totally unnecessary. 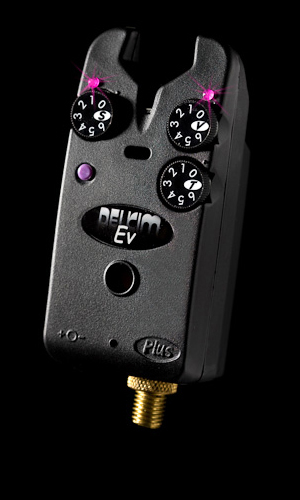 The Delkim Ev Plus has been highly successful in bringing affordability to the Delkim Plus Range of electronic bite alarms. It uses exactly the same technology and build quality as the flagship Tx-i Plus but with less functionality and frills. The Ev Plus is a serious bite alarm used by serious anglers at a seriously affordable price. When used in conjunction with the Tx Plus Micro Transmitter and Rx Plus Pro Mini Receiver, the user has the main benefits of the reliable and sophisticated Delkim cordless radio system with good range and long battery life expectations. The Delkim Standard Plus has all the features and build quality of the flagship Tx-i Plus without the integral radio transmitter. It is the first choice bite alarm for many experienced anglers all over the world, where sensitivity, controllability, versatility and reliability are the main requirements. When used in conjunction with the Tx Plus Micro Transmitter and Rx Plus Pro Mini Receiver, the user has the main benefits of the reliable and sophisticated Delkim cordless radio system with good range and long battery life expectations.